Fragile Beauty – Patrick F. Clarkin, Ph.D. Nothing is permanent. That doesn’t mean beauty does not exist. 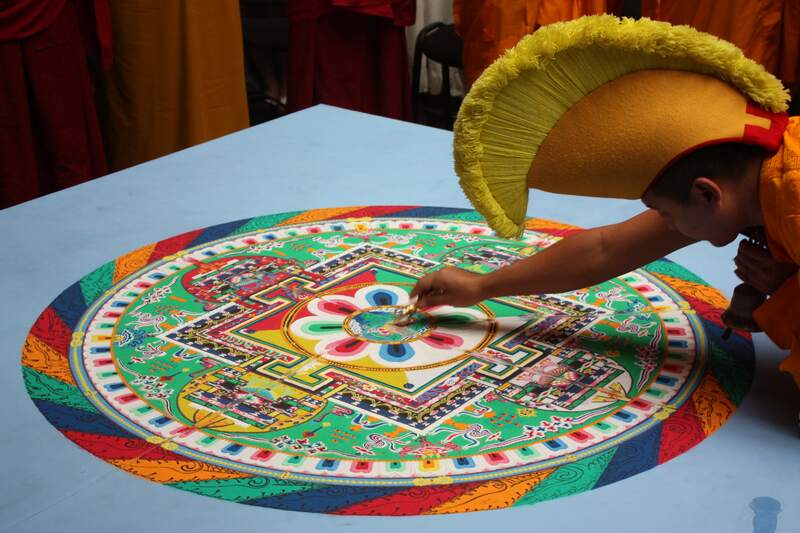 Tibetan sand painting (mandala). Source: wikicommons. the video never loads . . . It does for me. Maybe it is an operating system or browser issue? I suppose. I’ve seen it before. Very cool stuff. Hmm. It works forme. And it is very cool. What I like most is the symbolizing of impermanence by sweeping it away. All of that effort to create something so beautiful, and then it’s deliberately obliterated. yup, it’s all about detachment, isn’t it? An exercise in not just the delay of gratification, but total rejection of gratification, at least beyond the present moment. I never actually learn the lesson, but it is so clearly a lesson. There’s no way you could watch that without knowing a profound lesson is being taught. Right. And I have to admit that I can never fully embrace the lesson either. I’m too human, or too weak, or just not monkish enough.